This pretty lady joined our household in March. 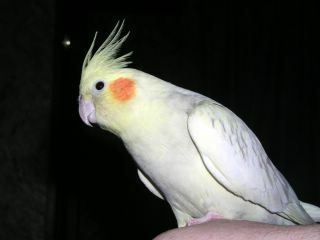 She shares her cage with her partner, who is believed to be a boy, and two pairs of brilliant rose-orange love birds. She is the only tame one amongst the group, and is very picky about whose attention she is willing to accept.